Job seeker confidence is at a record high, and with good reason: the unemployment rate just dipped below five percent for the first time in eight years. It’s a job seeker’s market, and this climate forces employers to seriously reevaluate and enhance their recruitment and employment practices, or suffer the cost. The narrative makes a lot of sense: When times are tough (as they were in the last recession), job seekers cared about two things–finding a job, or keeping the job they had. But now that things are looking up, what do job seekers and employees want? A great experience. And their expectation for that great experience is only growing. A recent study conducted by Harvard Business Review and ICM Unlimited released in March 2016 found that companies with 10,000 employees could be spending up to $7.6 million in additional wages to compensate for a poor employer reputation. 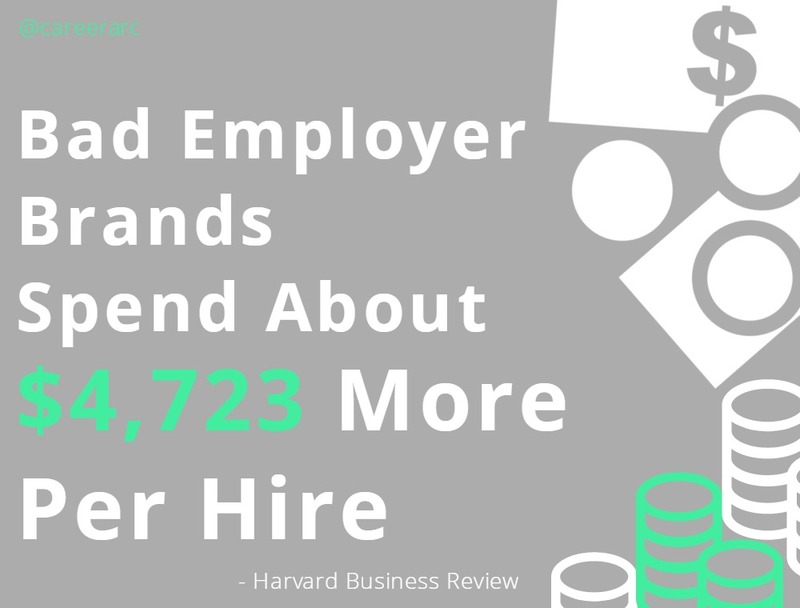 The study revealed that struggling employer brands needed to offer a minimum 10% pay increase to convince a candidate to accept a job offer–this averages to about $4,723 more per hire. In 2014, Virgin Media surveyed its rejected applicants to find that 18 percent were customers, 6 percent of whom switched to a competitor due to a poor candidate experience. This roughly cost Virgin $6.2 million (4.4 million pounds) in lost revenue–almost equaling Virgin’s entire recruiting budget that year. 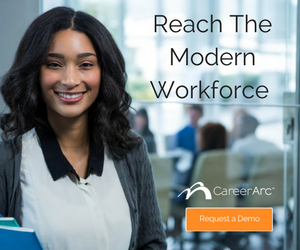 CareerArc’s Employer Branding Study revealed how close employer brand relates to consumer brand, discovering how bad product reviews negatively impact one’s perceptions of a company’s employer brand, and vice versa. Failing to convince a top candidate to accept your offer can leave you with a lower-performing hire and possibly an eventual cost in replacing that hire. This not only drives up the cost of production and cost-per-hire, but mis-hires and quick terminations could threaten employee morale, depending on how poorly that hire performed and the way in which the termination was handled. In a recent TLNT article, Dr. John Sullivan cites a CEB study showing that a strong employer brand can raise your quality of hire by 9 percent. A lot has changed since 2008: Not only has the economy recovered, giving workers leverage in their career choices, but social media and employer review sites have given the once silent participants of the labor market dynamic–job candidates and the employed–a voice. And it’s a voice that can be logged instantly, indexed online, and searched forever. With increased access and authority over new media, job seekers and employees can now impact the employer brand conversation and perception with a few clicks. In the past decade, social and peer review sites have shifted the consumer psyche and culture, informing our every decision from where to eat (e.g. Yelp), what movie to watch (e.g. Rotten Tomatoes), and which employer to trust with our future (e.g. Glassdoor). Do you know the state of your employer brand, and what it might be costing you? Job seeker confidence is high, and so are their expectations. Are you meeting them? 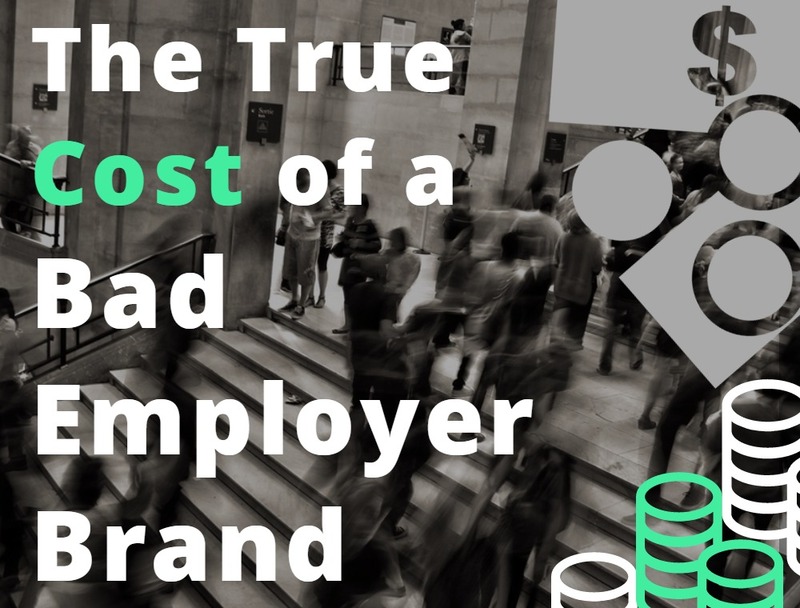 Calculate the true cost of a bad employer brand on your bottom line.